Well, it’s that time of the year again when our employers start sending us those wonderful W-2’s in the mail and Uncle Sam has his arms outstretched to receive all of our money. Ahem, perhaps not all of our money, but generally more than what we would normally want to part with. As much as we would all rather not have to pay income taxes, for most of us it just tends to be a way of life unless you are lucky enough to live in one of 7 states in the United States. 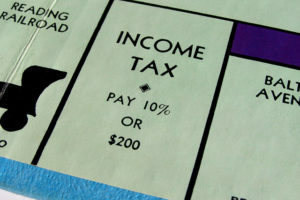 According to an online article from http://www.bankrate.com/finance/taxes/state-with-no-income-tax-better-or-worse-1.aspx, the states that do not have an income tax are as follows: Alaska, Florida, Nevada, South Dakota, Texas, Washington, and Wyoming. However, all of these states make up for the lack of an income tax by taxing other goods and services, sometimes at very high rates. Tennessee has one of the highest sales tax rates in the country. They charge 7% for the sales tax in the state and when combined with local sales taxes the charge is 9.45%, according to estimates from the Tax Foundation. In any case, one way or another we are going to be taxed by the local, state, and federal government which is only fair. Most people don’t mind being taxed as long as it’s fair and equitable across the board. Sometimes this is the case and sometimes it is not. Either way, death and taxes are a part of life whether we like it or not. So, as long as we are going to have to pay them we might as well be well-versed in the most up-to-date tax information available. Here are some of the best tax sites online that can help you when you go to file your return this year. Okay, now that you have about a dozen sites to visit for tax help there is no time like the present to go ahead and file those taxes. The sooner you do it the sooner it will be over with until another year from now. Also, if you know the exact form that you need from the IRS and/or the Kentucky Revenue site the Daviess County Public Library Information Services desk can print those out for you for 10 cents per page. However, you must know what you need in advance. We are not tax accountants and we have not been trained in this area so we can’t advise you on what you need or help you to fill out your forms online. You will need to seek the help of a tax preparation advisor in that case. Good luck on your tax preparation!